Which path should be tracked after CCNA? It honestly comes down to what you work with, where you see yourself in the coming years, and what interests you. Like R2S said, it basically depends on what interests you. If you're not sure yet then go the all purpose wway and get different CCNAs to see what lights your fire. Then go that direction with the CCNP. Then if I still have as much energy and motivation as I do now (and a job in some kind of Network Support role) I'm going to do CCNP Route, Switch, TSHOOT. Without the job to back it up, I'm concerned I wouldn't be taken seriously with a CCNP and the only experience I have being home labbing. This is certainly valid, but keep in mind that EVERY new job you get will require OJT (On the Job Training). No exception, even if you have every certification known to man. So if an employer is "willing to train right person", they will surely be more attracted to one with a CCNP vs someone with nothing or a more entry certification. Just my .02. You make sense, but if you have a fork in the road and your choices are going left (CCNA:SEC) or going right (CCNP) I'd feel like less of a pretender starting with CCNA:SEC. And in the meantime hopefully the job experience comes along! I'm not calling anyone that goes CCNA > CCNP a pretender, it's just how I feel about myself personally. I think if you love networking and are a CCNA you should be in a networking job. A CCNP without the rudimentary understanding of VPNs the the CCNA:S (i think it's simailar to the ISCW exam from the old CCNP track)) provides would be a laughing stock. The security track does offer some good base line networking fundamentals. I'd hit the Voice next. CCNA:RS, CCNA:S & CCNA:V should land you in a couple interview chairs. unemployed and spending my hours by repeating CCNA topics, building some labs. Even though i had a few interviews for the job, i couldn't be able to achieve as it had to be. Still, waiting for a reply one of them for about a month and a half. So indecisive about which path should i track from now on. achieve as it had to be. Still, waiting for a reply one of them for about a month and a half. So indecisive about which path should i track from now on. I say go for the CCNA:Security. It's something that you can add to your resume/CV much quicker than a CCNP -- and it's going to be cheaper. Plus the lab requirements are a lot less -- 2 routers (or GNS3) with Advanced Security (or better) IOS 12.4(9)T (or better) and a switch. Without any (or much) experience the CCNP doesn't really help you that much (if at all). You can't compete against the experience CCNPs. And the CCNAs who kept looking for work and got a job are now racking up experience -- and if they then start to study for the CCNP, they'll crush you in future competitions for jobs. The time and energy you'd spend studying the CCNP would be better spent HUNTING down jobs. After you finish the CCNA:Security, you can start reading Doyle's Routing TCP/IP Volume 1 -- and you can lab it in GNS3. 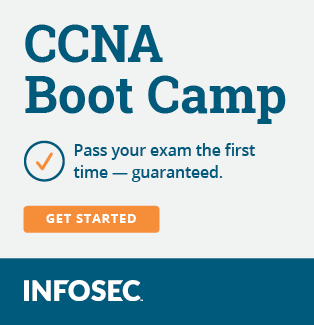 That helps keep your CCNA knowledge fresh (and growing) and your skills sharp for interviews -- and it gives you something to talk about during interviews and differentiates you from the other CCNAs looking for a job. This book is #1 on amazon.com under CCIE and #2 under TCP/IP. It appears that it is commonly used as the start for preparing for the CCIE written exam. How does it fit into exam preparation? What would you use this book to study for? I might buy this book myself and not worry about exam prep after CCNA:Security. It would be nice to not worry about prepping for an exam for awhile and just do some leisurely labbing and reading. Not to deviate too far from the original topic, but is there a recommended reading list going beyond CCNA? I've heard of Network Warrior and seen Doyle's book mentioned numerous times. Where do you start and in what order should one proceed? is there a recommended reading list going beyond CCNA? Actually, Network Warrior is probably the book Cisco should give everyone for passing the CCNA. I'd probably go for Network Warrior, then follow up with Doyle as the first 2 books someone hunting for that elusive first Cisco position should read. Book #3 could vary depending on the local job market -- and any upcoming interviews -- and should help you at least "talk the talk" during interviews. 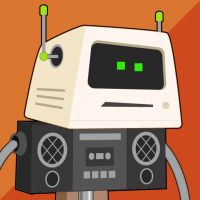 It could be an intro Cisco Voice, Security or Wireless book if you're hearing buzz about those topics during a job search -- or it could be the Cisco Documentation for specific Cisco Switches if you have a hot lead on a job that requires switching knowledge. I think there is a new edition of Network Warrior coming out (if it isn't out already) -- but I have the O'Reilly eBook, so hopefully I get a free upgrade. I think Top Down Network Design is good for someone interested in Design -- and for someone to see if they do have the Network Design gene. There's also one more book I really like as "light reading" -- but I'm drawing a blank right now. Edit: Campus Network Design Fundamentals by Diane Teare and Catherine Paquet. For some reason I was thinking it was a Data Center book -- but it's another design book (hey, what do you expect, I have the Network Design gene ). I agree, +1 for Routing TCP/IP. I've been thumbing though it for a couple months without having the time to really sit down and read it thoroughly. It's will help you draw the connection between functionality and reality not covered in the CCNA and even CCNP. Great book..
You should be right. CCNP will probably appear too heavy in this stage to me. So, i should go on with easier one which make a contribution my resume to grow.